LEXINGTON, Ky. (Tuesday, February 23, 2016) – The National Thoroughbred Racing Association (NTRA) today announced that Horse PACSM, the Thoroughbred racing industry’s federal political action committee, has added Keith Chamblin to its board of directors. Chamblin has been with the NTRA for more than 15 years and is the organization’s Chief Operating Officer. He has worked extensively with NTRA member organizations, including horsemen’s groups and racetracks, and is the chief architect of the Daily Racing Form/NTRA National Handicapping Championship (NHC), which carried a purse of more than $2.7 million in 2016. Overall, the NHC has nearly 5,000 individual members. In 2008, Mr. Chamblin organized the Horseplayers’ Coalition to focus on seeking legislative solutions to Federal tax issues that impact horseplayers and provide grassroots support for the NTRA’s lobbying efforts on Capitol Hill. He was instrumental in securing the more than 12,000 comments from horseplayers that were sent to the Treasury Department and IRS in 2015 to advocate for changes to current withholding and reporting thresholds. “Keith Chamblin brings to the Board a wealth of experience and contacts within the Thoroughbred racing industry. 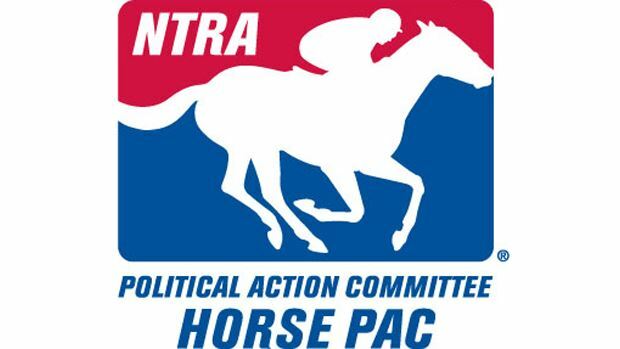 His knowledge of the NTRA’s legislative activities and grassroots organizing will be invaluable as we expand our outreach in the horse racing community,” said Horse PACSM President Margaret E. Hendershot. Horse PACSM, which is chaired by William S. Farish, Jr., supported 45 candidates and 22 Leadership and Congressional PACs in 2015 with disbursements of $288,500, a 27 percent increase over the prior year’s total of $227,000 and the second-largest disbursement for a non-election year since the committee’s founding in 2002. Horse PACSM contributes to federal political candidates who serve on Congressional committees that oversee matters pertaining to livestock and agriculture issues, Internet gaming, taxation, immigration and the Interstate Horseracing Act; are established Congressional leaders; understand horse racing’s issues; have racetracks, breeding farms, training centers and ADWs in their states; are members of the Congressional Horse Caucus; or are emerging leaders meriting early support in their legislative careers. For more information visit www.SupportHorseRacing.org. The NTRA is a broad-based coalition of more than 100 horse racing interests and thousands of individual stakeholders consisting of horseplayers, racetrack operators, owners, breeders, trainers and affiliated horse racing associations, charged with increasing the popularity, welfare and integrity of Thoroughbred racing through consensus-based leadership, legislative advocacy, safety and integrity initiatives, fan engagement and corporate partner development. The NTRA owns and manages the NTRA Safety and Integrity Alliance; NTRA.com; the NTRA Top Thoroughbred and NTRA Top 3-Year-Old weekly media polls; the Eclipse Awards; the National Handicapping Championship; NTRA Advantage, a corporate partner sales and sponsorship program; and Horse PACSM, a federal political action committee. NTRA press releases appear on NTRA.com, Twitter (@ntra) and Facebook (facebook.com/1NTRA).